InfoSight can help you with the strategies and assist in putting the right processes in place to integrate social and mobile solutions into your organization's overall business strategy. Today's business is all about expanding your reach and achieving a high Return on Relationships (ROR). Providing value for your clients by building a community that make clients want to follow you first, and selling later. Social media is a low-cost, high-value vehicle for you to achieve these goals; however, like any worthwhile project, it requires planning and serious consideration first. Augment and complement your existing staff with our compliance experts. Let us do the heavy lifting and save you time. Help you understand what assets you have and make sure they map to internal and external compliance. Determine your compliance posture prior to the arrival of examiners. Get a clean bill of health and attain the ratings you need to reduce the cost of compliance. Keep you in compliance with both existing regulations and new ones coming into effect. 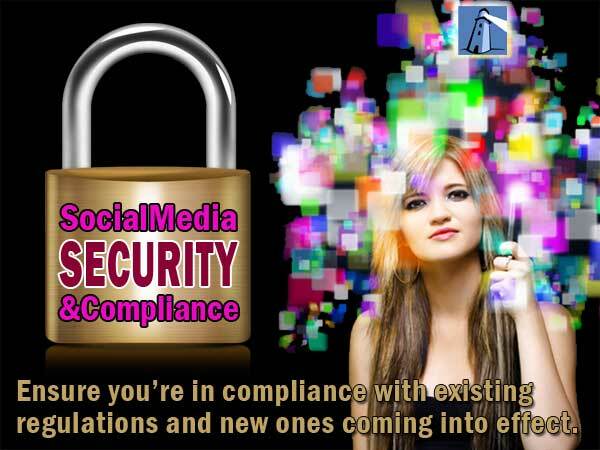 Train and mentor your Information Security and Compliance Officer(s). Provide institution-wide customized training for bank staff and their commercial clients. Let InfoSight help develop your social media and mobile strategies. We'll guide you through the maze of tools and strategies to help you build a strong, effective social community that delivers long-term value. We will develop a forward-looking plan of innovative usages for social media with a focus on areas of importance to you such as commercial lending, retail banking, consumer lending, wealth management/trust and financial services. You can also rest assured, because we will help assure your social media plan will also conform to regulatory requirements and security best practices. We'll enable your institution to precisely target your current customers and prospects with customized and relevant offers. Our mobile marketing consulting and platform will enable you to generate loyalty, acquire new customers, up-sell products and much more.